To add remove software from cd-rom in fedora core system using the system-cdinstall-helper command, this system-cdinstall-helper command is very usefull if your Linux Fedora Core is not network connected or internet connected. 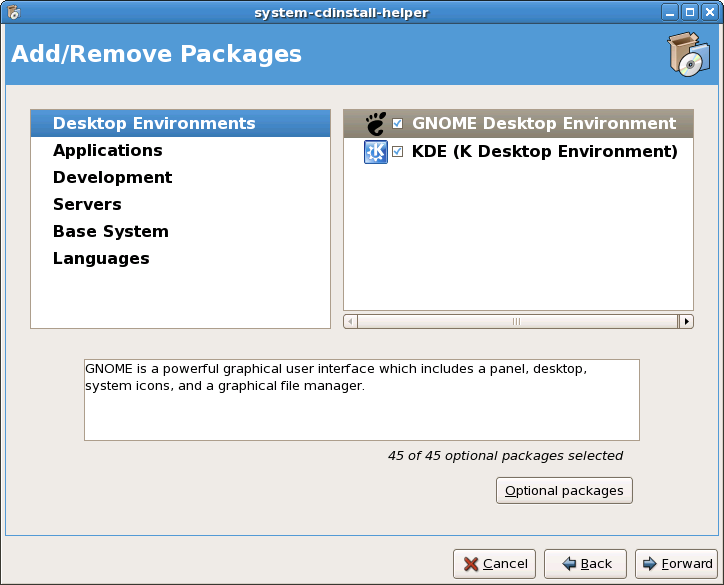 The Add/Remove Software on the Applications menu tab that only can work if your Fedora Core have the connection to the internet. 2. 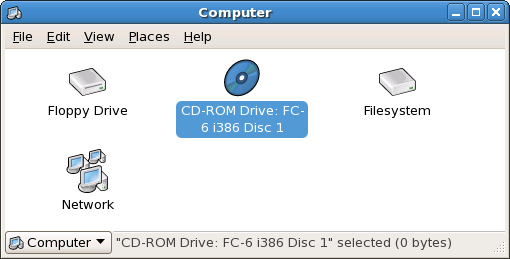 Then mount the Fedora Core Disk number 1.
or you can execute the system-cdinstall-helper command as backround process by adding '&' at the end of command line. Keywords: system-cdinstall-helper, system-cdinstall-helper command, system-cdinstall-helper program, install software, remove software, system-cdinstall-helper tool.